Italian rabbi; died at Modena in 1685; cousin of Nathanael b. Benjamin Trabot. He probably belonged to the Gallico family, the name "Graziano" being the Italian equivalent of "Johanan." Graziano, who was rabbi of Modena, was the author of the following works: "Sha'are Efrayim," explaining all the passages in which the particles and are found in the Pentateuch; "Haggahot we-Ḥiddushim," annotations and novellæ on the Shulḥan 'Aruk, cited by Ishmael Coen in "Zera' Emet"; "Liḳḳuṭe Dinim," various halakic decisions; and a collection of poems. Of these works there have been published only two elegies on the death of Rabbi Aaron Benoit Modena, inserted in the "Ma'abar Yabboḳ," and some responsa included in the "'Afar Ya'aḳob" of Nathanael ben Aaron Jacob Segre. 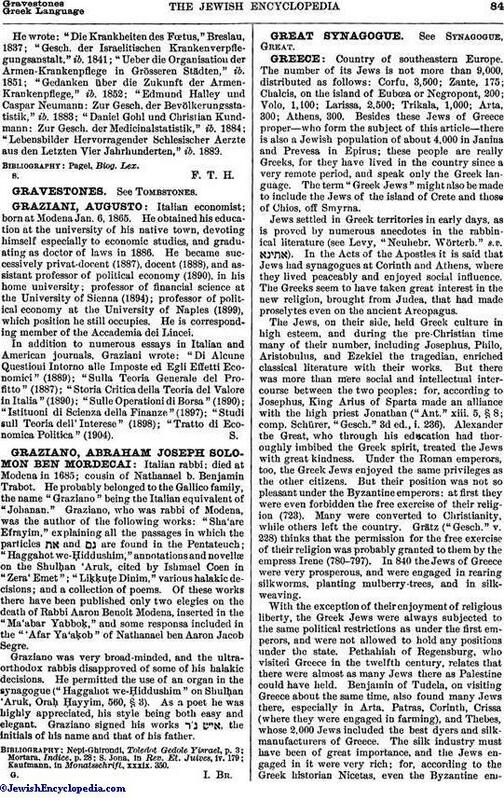 Graziano was very broad-minded, and the ultra-orthodox rabbis disapproved of some of his halakic decisions. He permitted the use of an organ in the synagogue ("Haggahot we-Ḥiddushim" on Shulḥan 'Aruk, Oraḥ Ḥayyim, 560, § 3). As a poet he was highly appreciated, his style being both easy and elegant. Graziano signed his works , the initials of his name and that of his father. Kaufmann, in Monatsschrift, xxxix. 350.